Our flexible approach has helped a successful bike servicing and training company re-open in Preston just weeks after suffering a serious setback. Our flexible approach to workspace has helped a successful bike servicing and training company re-open at our Preston Technology Centre, just a couple of weeks after suffering a serious setback. 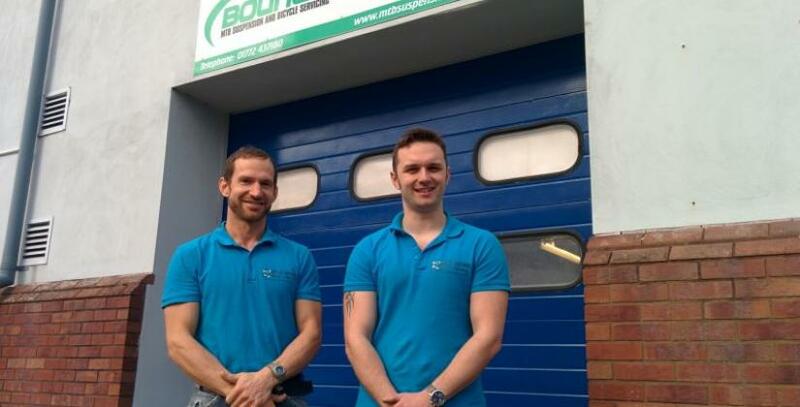 Bounce Suspension Servicing and Rivington Bike Training first launched at our Coppull Enterprise Centre, but after just three weeks of trading, burglars struck, targeting customers’ bikes, which were in the shop for repair or servicing. Despite this setback, we were able to offer joint owner Frank Spear and his team an alternative business unit which meant their business downtime was kept to an absolute minimum. Frank now hopes the incident will be just a ‘blip’ in his business growth and is looking forward to welcoming customers at his new workspace. “Obviously it’s upsetting to work so hard, only for people with no respect for other people’s property to think they can take what they want,” says Frank, who also had personal items stolen, including an iMac containing his wedding photos. “Our first priority was to reimburse those clients who had lost items left with us. Me and the other director personally compensated our clients in full within 48 hours of the incident taking place, so no clients have lost out as a result of the break in. Our main aim now is to get back up and running. We were making big waves with the quality of our work prior to the break in and that will continue at our new site. “I have been really moved by the support of friends, family and customers and the help we’ve had from Bizspace, particularly Tricia Gibbs (Regional Sales Manager) and Julie McNulty (Business Centre Manager at Preston). They found the new unit in Preston for us straight away and have given us a good deal to help us get back on our feet. Bounce Suspension Servicing provides bicycle servicing and tuning, while sister firm Rivington Bike Training offers mountain bike skills courses and holidays. Frank, who began his career in the Royal Navy, has always been interested in mountain bikes and decided to launch the companies in order to do what he loved and help others to do what makes them happy. The businesses are now open at unit G4 in our Preston Technology Centre. We have ramped up security at Coppull Enterprise Centre, upgrading lighting and CCTV, as part of ongoing improvement works. Bizspace’s Sales and Marketing Director, Emma Long, says: “We wanted to do as much as we could to help Frank and his team resume business as usual and it’s great to hear they are back up and running. We aim to be flexible and supportive of our customers whenever we can. For more information on Preston Technology Centre contact Julie on 01772 880 729 or to enquire about Coppull Enterprise Centre call Business Centre Manager Sandra Bannister on 01257 791 203.